I am wondering why my MacBook pro retina screen gets cut off from the sides while connecting an external monitor. My monitor is LCD 1280 x 1024 resolution connected via display port to VGA adapter. Other monitors I have used with same resolution do not give same issue. Other monitor I tried was bigger in screen size but same resolution. Please explain. I have attached image of what happens. From what I can see of your other monitor, it looks like you're in mirroring mode. Go to System Preferences > Displays > toggle "Mirror Displays", or press CmdF1 (maybe CmdFnF1). Not the answer you're looking for? 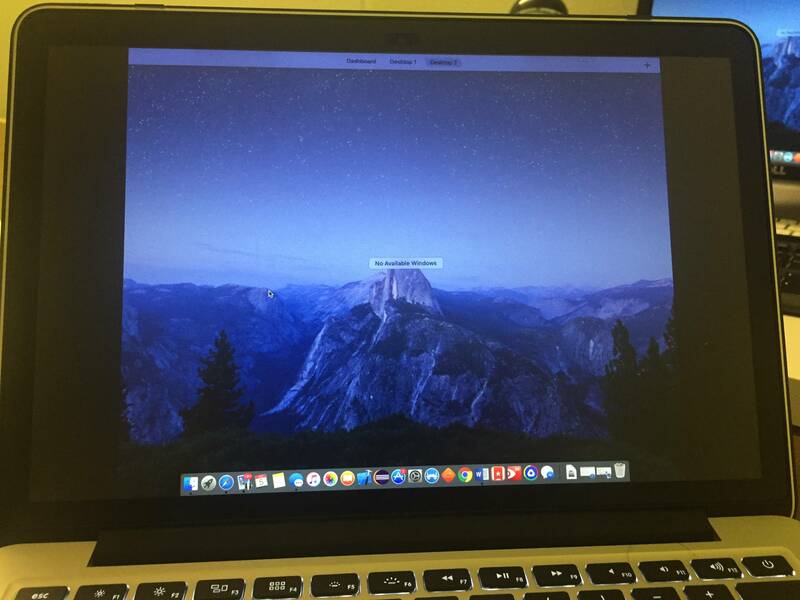 Browse other questions tagged macbook display resolution .